Call 800-762-2222 to Book Your Room Now, mention code GOTYOURTICKETS for special rate. British rock guitarist Peter Frampton will be live at the F.M. Kirby Center on Monday, June 18 at 7:30 p.m., presented by the F.M. Kirby Center, BRE, and Rock 107. Tickets are available at the Kirby Center box office, online at www.kirbycenter.org and charge by phone at (570) 826-1100. 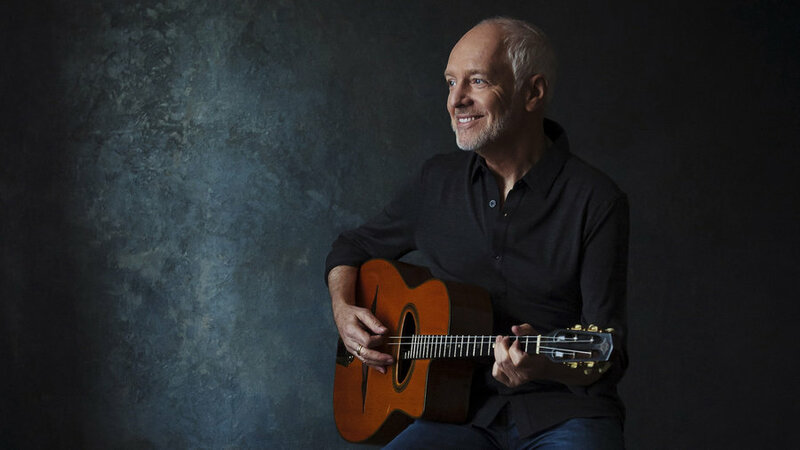 Grammy winner Peter Frampton remains one of the most celebrated artists and guitarists in rock history. At 16, he was the lead singer and guitarist for British band the Herd. At 18, he co-founded one of the first super groups, seminal rock act Humble Pie. His session work includes such legendary artists as George Harrison, Harry Nilsson, David Bowie, Jerry Lee Lewis, Ringo Starr, John Entwistle and many others. His fifth solo album, the electrifying Frampton Comes Alive!, is one of the top-selling live records of all time. Frampton’s latest album, Acoustic Classics brings us stripped-down versions of his hits including “Baby, I Love Your Way,” “Lines On My Face,” “Do You Feel Like I Do,” “Show Me The Way” and more. Acoustic Classics includes one new song, “All Down to Me,” which was co-written by Gordon Kennedy. “All Down to Me” is the only track on the record featuring a guest musician.